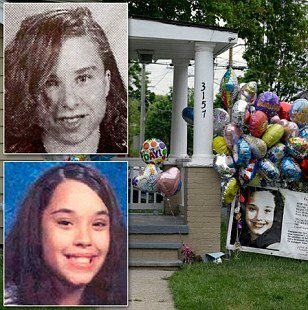 Michelle Knight will be “adopted” by Gina DeJesus’ family and they will look after her as their daughter after Michelle rejected a meeting with her own mother, a friend of Felix and Nancy DeJesus has revealed. Michelle Knight was released from the hospital on Friday and was taken to Gina DeJesus’ house. Lupe Collins said the DeJesus family will be able to offer Michelle Knight the loving household that she never had even before she was allegedly kidnapped by Ariel Castro. “They’re a loving family, a giving family. Felix and Nancy will take care of her and make sure she gets the helps she needs,” Lupe Collins said. Two days ago, Gina DeJesus triumphantly returned to the neighborhood and walked into her home and hundreds of neighbors and well-wishers cheered. By contrast, Michelle Knight’s homecoming had no fanfare. Her great aunt Deborah Knight and her brother Freddie said that they had no idea where Knight could stay when she was released from the hospital. “I don’t know where she’ll go,” Deborah Knight said from her dilapidated house on Cleveland’s West Side. However, Freddie Knight, Michelle’s twin brother, said he saw his sister in the hospital and she wants her family to be reunited. “I want her out of there and I want her home,” Freddie Knight, 32, said.